A mouthguard is an essential piece of athletic gear that should be part of any athlete's standard equipment. In fact, an athlete is 60 times more likely to suffer harm to the teeth when not wearing a guard. Mouth guards help minimize impact that otherwise could cause broken teeth, jaw injuries, or cuts to the lip and tongue, or even possible loss of a tooth. 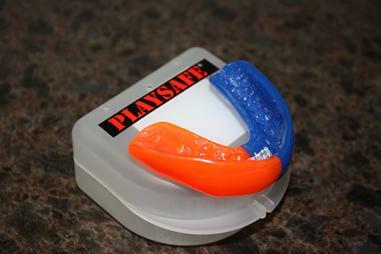 Custom mouth guards also may reduce the rate and severity of concussions. Not only is it a custom fit to specifically to your mouth, but you can personalize your guard with your team colors, your name, or even a photo. Call today for more information on protecting your smile!! !